Hey, everyone! This is our weekly check-in to all things basketball, across the entire landscape. If something happens on the hardwood, you’ll hear about it every Monday morning, right here. The NBA trade deadline came and went with the biggest names being moved in the week’s prior to the frenzied rumors of Thursday. Nerlens Noel ended up being the best player traded on deadline day itself, as we explored here last week. The Celtics’ timeline is different that we think: Right now, Boston sits as the 2-seed in the East, but there are many people who believe the Eastern Conference runs directly through LeBron James. There is a chance that with a young core and a warchest of draft assets, Boston is eyeing a peaceful transition of power, where rather than scheming to beat LeBron at the peak of his powers, they are gunning for him when he starts to slip in a few years. That’s a little silly considering LeBron is only 32 and the Celtics just paid a 30 year old big man (Al Horford) a max contract for the next four years. Not to mention, Isaiah Thomas and Avery Bradley will reach free agency this summer. The NBA is a fast-moving league. It is impossible to balance the spinning plates required to contend for more than a few years. Ask the Thunder. The Celtics are eyeing free agents, instead of trade targets: Reports say Boston is fully prepared to make a big offer to pending free agent Gordon Hayward. He fits in what the Celtics are looking to do and oh by the way, Hayward played for Celtics head coach Brad Stevens at Butler. If Hayward signs in Boston, that is great. If not, you missed a chance at a serious upgrade. Signing Hayward allows the Celtics to add to their roster without gutting themselves of assets, but there’s no guarantee. 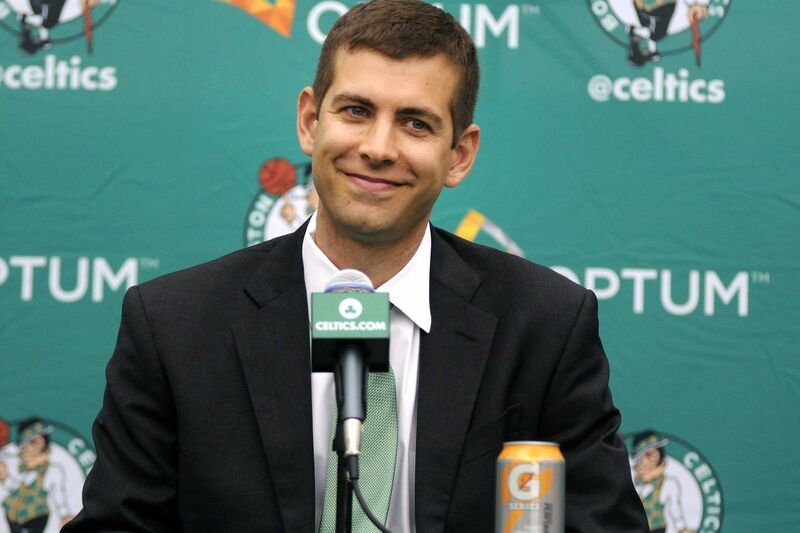 If you trade for George or Butler, they will be on a flight to Boston and wearing kelly green as soon as possible. There are no “what ifs.” Not to mention, I’d much rather have Jimmy Butler at under $20 million per year than Gordon Hayward at close to $30 million. The Celtics don’t view Butler or George as true gamechangers: Parting with major assets could be tough if you aren’t convinced Butler or George makes you a real contender. This sort of harkens back to the LeBron point. Toronto saw Kevin Love’s injury and pounced, grabbing Serge Ibaka and PJ Tucker in trades. The Raps smelled blood in the water. The Celtics seemed to pass on taking their swing at the King this season, perhaps because they thought even with those moves, they can’t top the Cavs. ESPN’s Brian Windhorst reported that the Cavs would disagree. He said on his colleague Zach Lowe’s podcast that while the Cavs would shrug off Boston adding a player like Hayward, seeing George or Butler head to Boston would have really worried Cleveland and could have spurned a panic move in response. The Bulls and Pacers weren’t actually looking to re-build, just re-tool: This would probably be Boston’s best excuse, and I assume that’s why we’ve seen it floated out there. Reports say Larry Bird has no interest in dealing Paul George, but his ownership thought it prudent to explore the possibility, while Chicago’s front office is delusional and wanted to move Butler for relevant players, not young assets and picks. I buy Larry Bird taking his chances with George, even with his free agency looming in the summer of 2018. Chicago, on the other hand, is a mess. You can’t trade a star and expect to bounce back with comparable assets right away. It just doesn’t happen. They’d be better served washing their hands of the Rose-Butler era and searching for a new franchise cornerstone in the draft. That being said, I’m not sure why Danny Ainge wouldn’t swap players for Butler. As long as he kept Horford, Thomas, and one of Bradley or Marcus Smart, he’d have a contender on his hands. Depth would take a backseat for the moment to star power, but that is how you win in today’s NBA. The roll of the dice seems worth it to me. Danny Ainge is running a dang Ponzi scheme!! : If we had to listen to the national media say this about Sam Hinkie, it has to be asked about Danny Ainge. Is he actually interested in gunning for the title or is he just fine being a relevant top 10 team? In the end, the trade probably wasn’t made for a combination of the first four reasons on this list, but Ainge sitting back and be scared to screw up what they have going (being good, not great) could absolutely be a factor. BASKETBALL WON AN OSCAR! GOOD JOB BASKETBALL! Ali played a few years at St. Mary’s before deciding to focus on his academics and acting. Palestra Back: The Sixers traded Nerlens Noel, and we detailed the disappointing details. Larry Brown Sports: I identified seven players fighting for National Player of the Year honors and looked into some bubble teams making their case for an at-large bid. Rush the Court: The race for a number one seed is heating up, so I peaked into the ten teams with a chance. Despite Gonzaga’s loss this weekend, ESPN’s round-up of former Zags breaking down the current team is a lot of fun. After Boogie Cousins was traded, he did an interview with the Undefeated, and it was a doozy. Have an honest conversation with your boss about how everyone is going to be trying to watch the games, so let’s order food and turn on the TV in the conference room. IT’S A TEAM BUILDING EXERCISE. DVR the afternoon games and rewatch the good ones during the rest of the weekend when you can. I mean, how can we pick anything else? The sport’s best rivalry (at any level) with both teams ranked in the top 15, and major NCAA and ACC Tournament seeding implications in play. 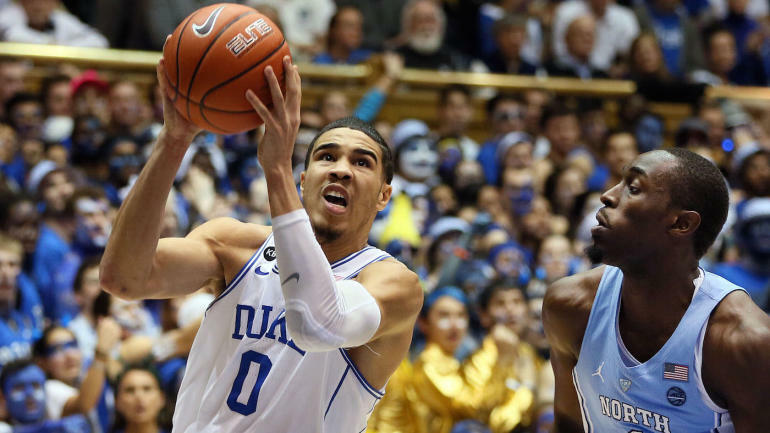 A win on the road at the Dean Dome would be a huge boost for Duke’s swagger heading into the tournament, after the rocky season they’ve had to date. Carolina on the other hand has slid into the conversation for a top seed and a home loss would jeopardize that for the Heels.